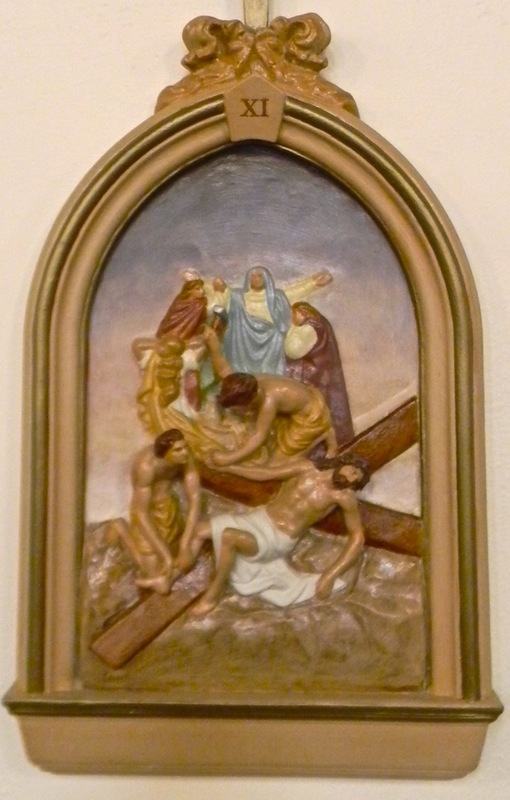 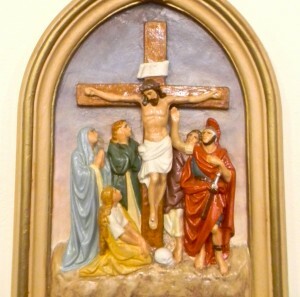 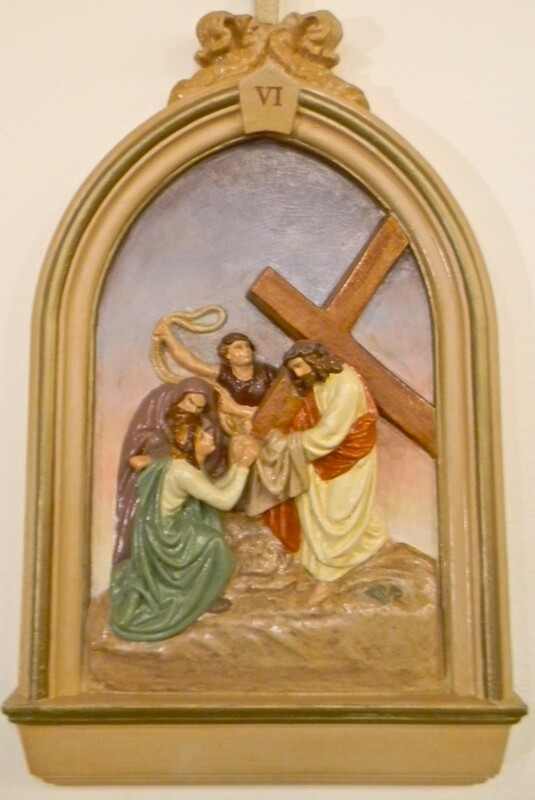 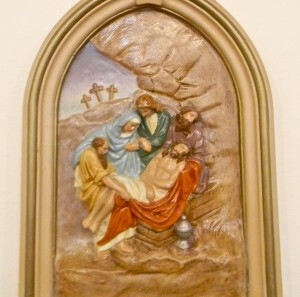 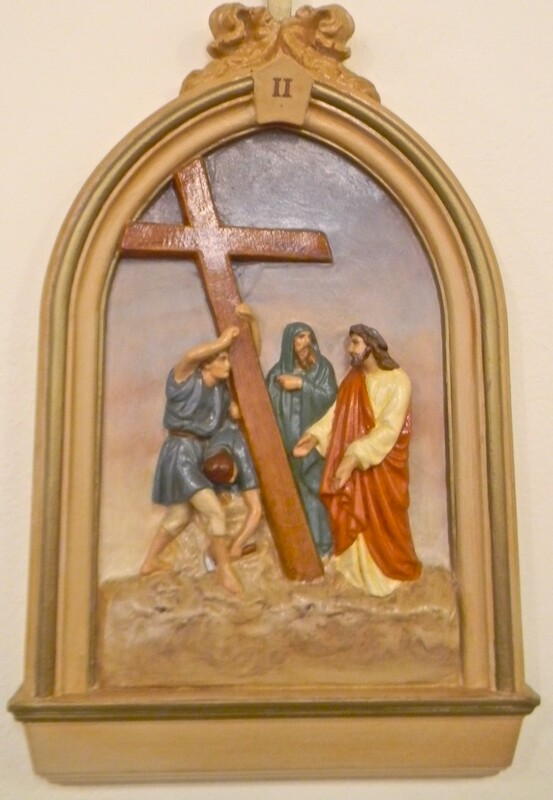 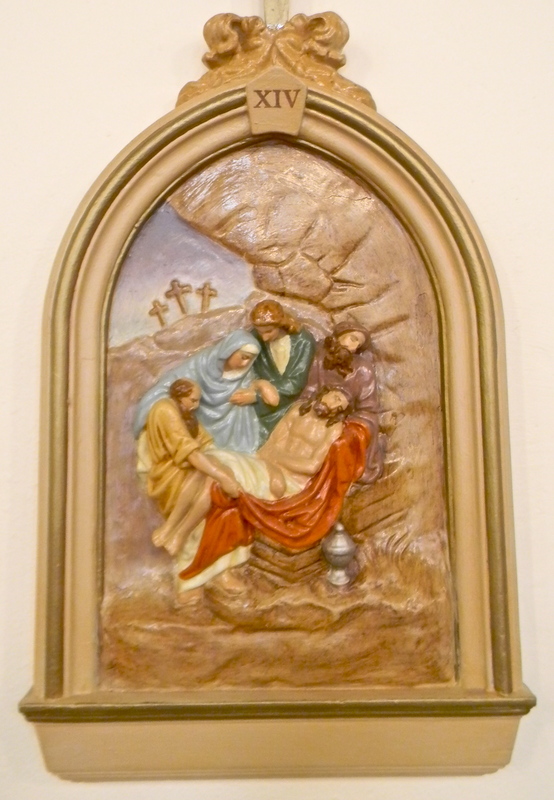 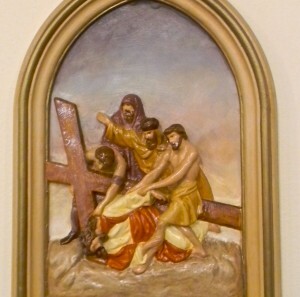 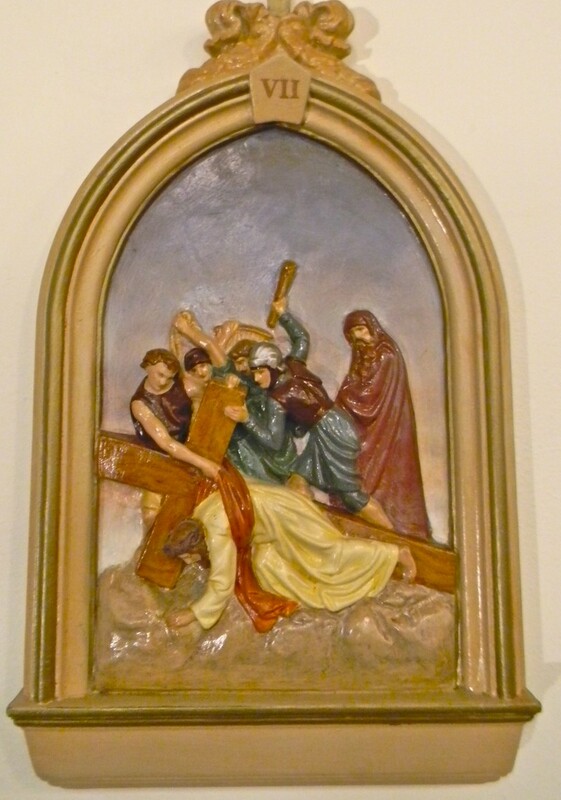 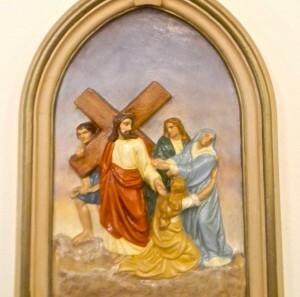 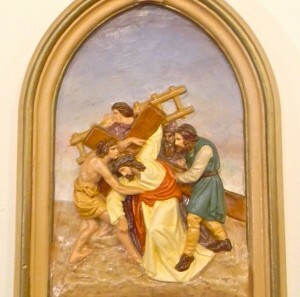 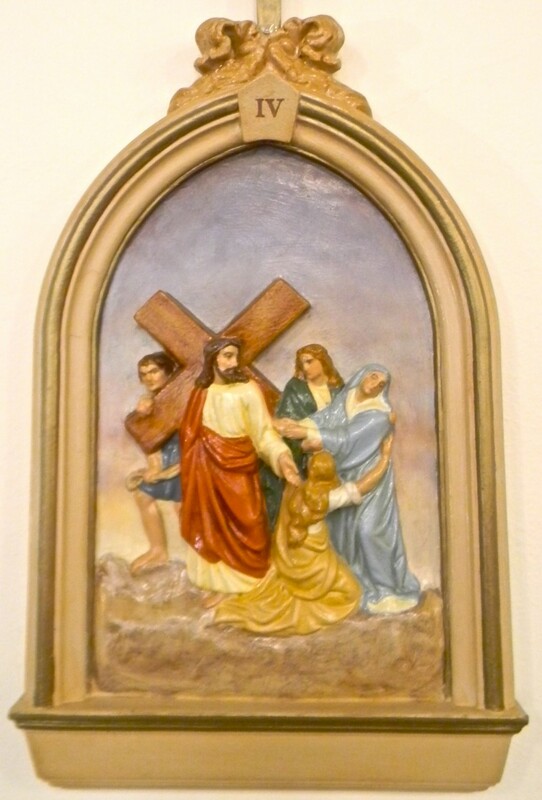 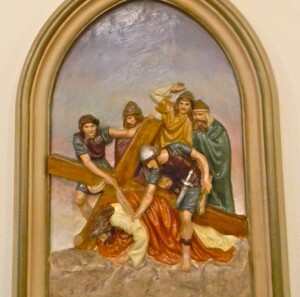 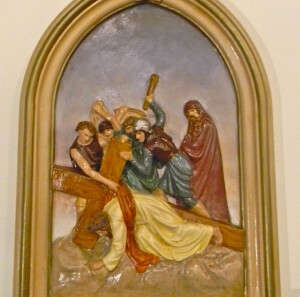 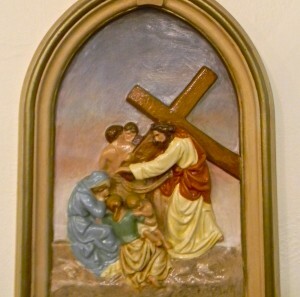 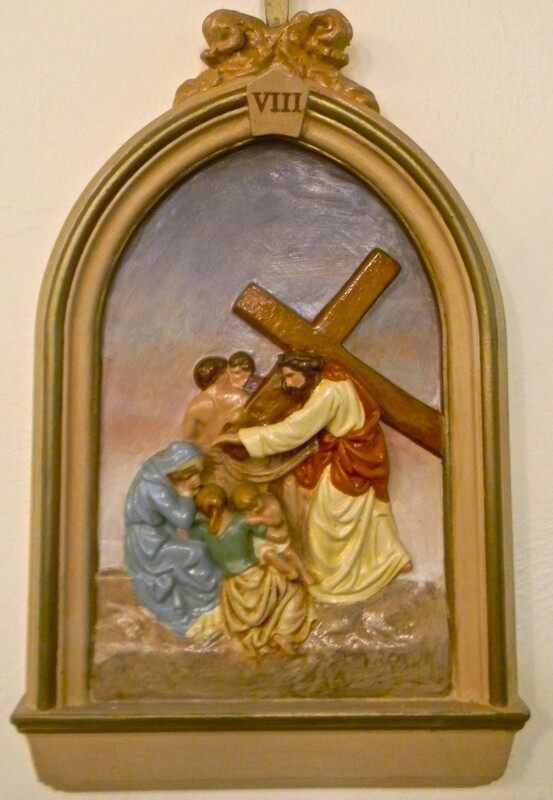 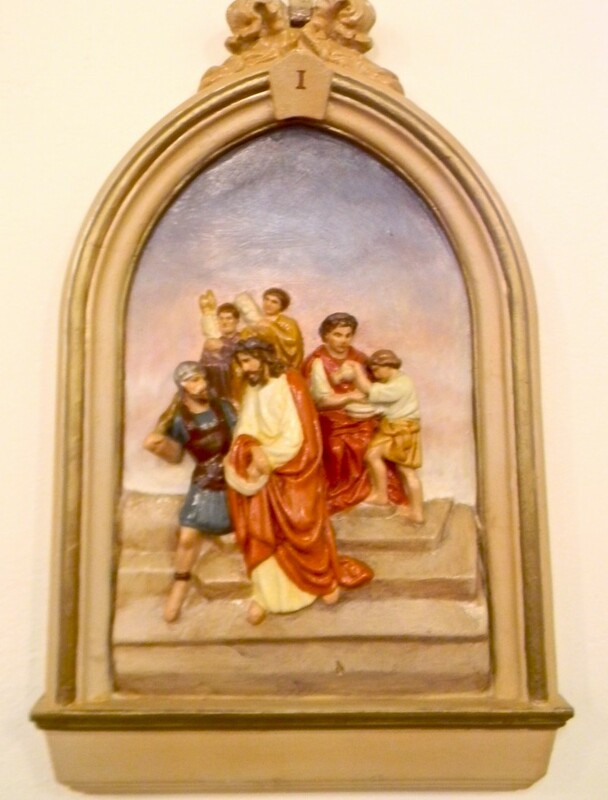 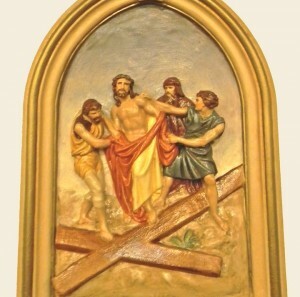 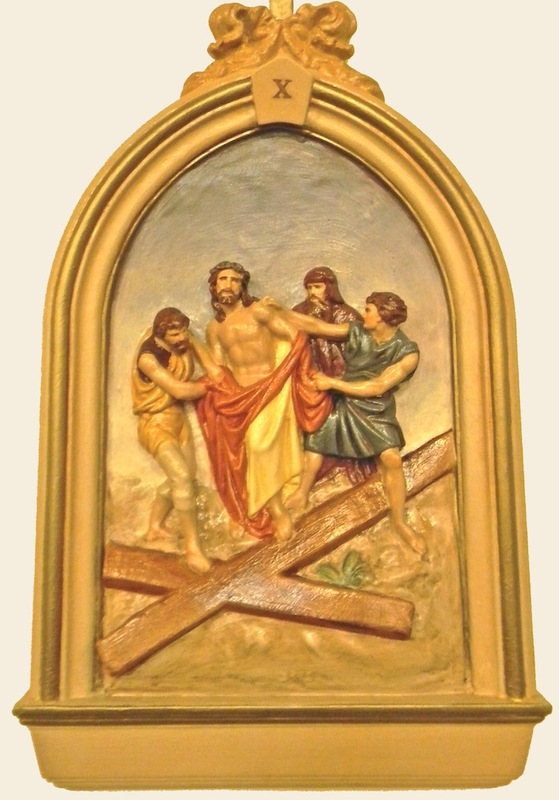 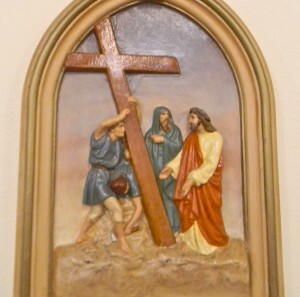 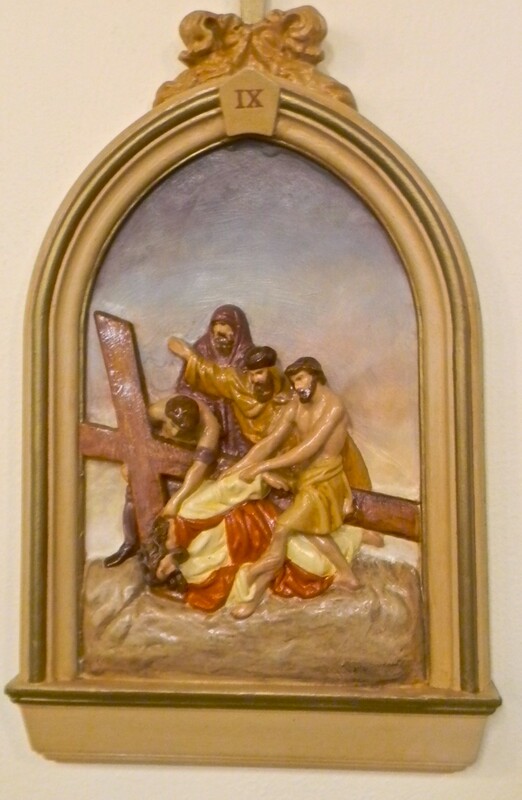 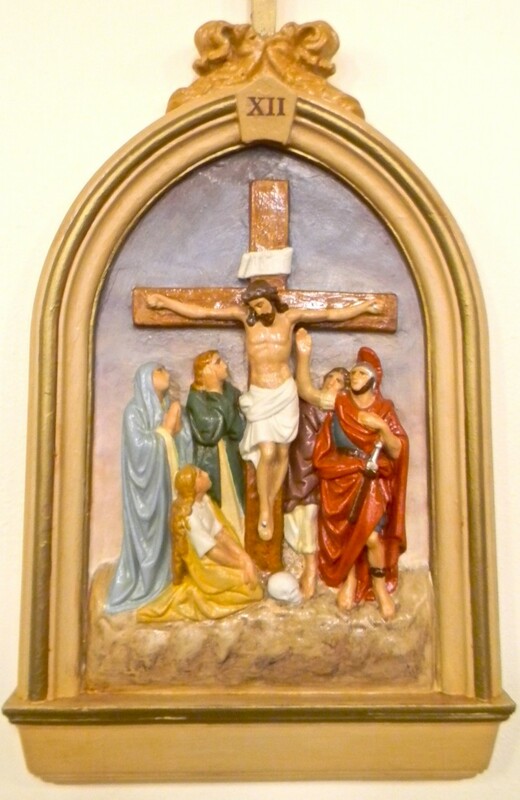 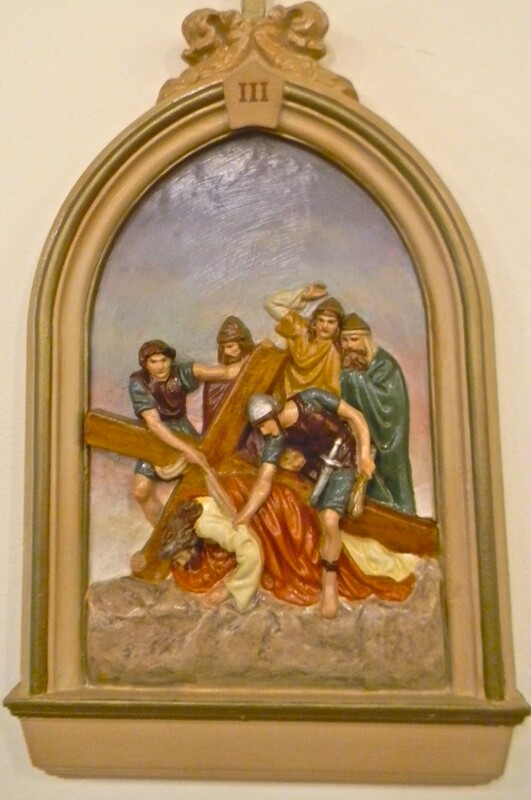 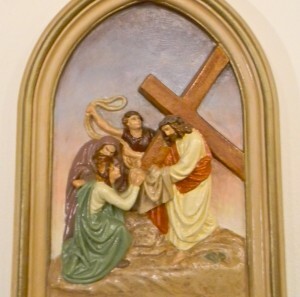 The Fourteen Stations of the Cross were painted. 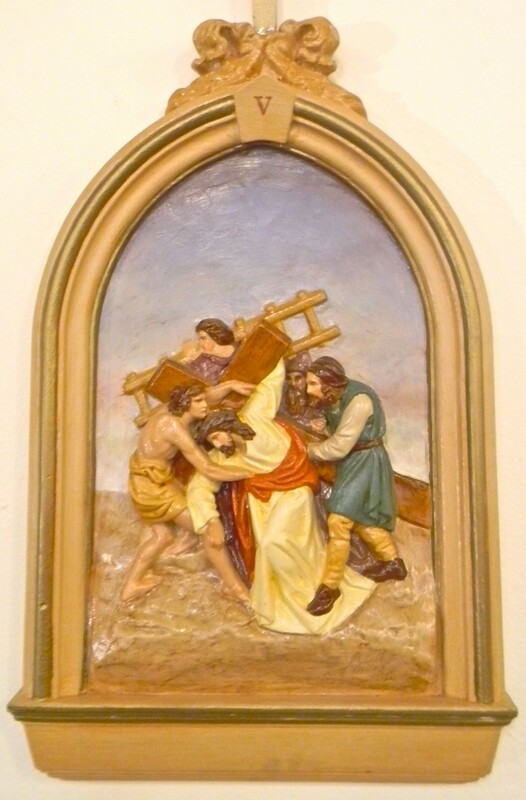 Backgrounds were painted in oil to give depth to each scene. 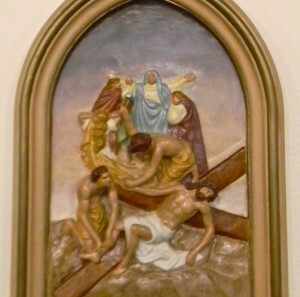 The frames surrounding each scene were painted, glazed and detailed in gold to create a more complex finish. 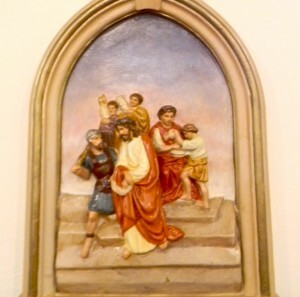 Two trompe l’oeil banners for the church’s patron saints, Raphael and Patrick, were created and applied to the wall below the choir loft.